How ethical are your fashion choices? After the recent events at Rana Plaza in Bangladesh, consumers are open to supporting sustainable and ethical fashion brands more than ever. You can witness this more so common in children’s fashion industry where more brands are open to designing and creating ethical and sustainable clothing. With no governing laws or regulations regarding the usage of this term, sustainable fashion is a terminology that loosely refers to the garment that is manufactured with minimal impact to the environment, following a socially responsible supply chain. 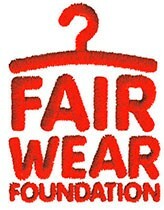 Sustainable fashion carries the tags such as organic, GOTS certified, Fair Trade, Ethical etc. These tags don’t completely define sustainable fashion. Sometimes clothing made by artisans in remote communities could qualify to be called as sustainable fashion. It is important not to confuse sustainable fashion with slow fashion. Many fashion brands that create sustainable fashion apparels still follow some aspects of fast fashion model. They manufacture clothing using sustainable materials in bulk and distribute across the globe. 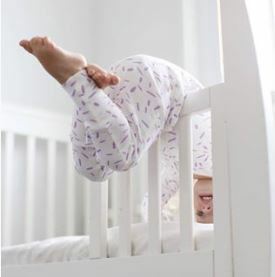 Most organic and sustainable brands now exclusively manufacture clothing that is certified by GOTS. This is a very welcoming change. You can download and view the GOTS standard here. GOTS refers to Global Organic Textile Standard and it is one of the major certification bodies pertaining to organic textile industry. They have their own ethical and social standards that needs to be followed by manufacturers. A product cannot be called GOTS certified until it has a certification id associated with it. It is important for the consumers and brands to be aware of this before spending premium price on organic clothing. You can validate the GOTS certification id of you clothing here in GOTS public database. GOTS standard only applies to post harvest processing of cotton. Fair Trade certification body is a certification body similar to GOTS, but they look at the how the apparel is made rather than looking at the sustainable component. Fair Trade certified clothing doesn’t have to organic. Certification guarantees minimum purchase amount for cotton sourced from farmers in developing countries which is usually above the prevalent market rate. 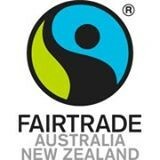 Below are some certification bodies associated with fair trade. Any certification claims need to be validated by publicly available information. Most certification bodies provides a certification id associated with the garment. It is illegal to use the logo from any of the below organisations without a valid certification. Most of us are passionate towards supporting locally made products and it is great few brands are leading the way. Made in Australia means majority of the processing is done here. The fabric can still be imported from overseas and processed here. This is especially true for organic cotton clothing as there is a very limited amount of organic cotton grown here and the fabric is imported from countries such as India and Turkey. As majority of printing, dying and stitching is done here it is beneficial for the economy and the local textile industry. As consumers, what you need to look for? Look for brands listing their supply chain information publicly. As ethical and organic claims are used by more businesses than ever, ask for their supply chain details, certification details etc. before you make a purchase. Some brands don’t list their information publicly to gain competitive advantage, but are legally required to share the information with the consumer if requested. Thanks so much to Punitha owner of NIOVI for writing this informative article. Punitha left her corporate job in 2016 to spend more time with her kids and pursue her passion NIOVI, an organic and ethical children’s wear brand with a social cause. A sustainable lifestyle lover, she enjoys reading and writing in her spare time. Want to keep up to date and discuss topics like these with like minded people? Then join our Natural Living Community today.